Getting ready for the most Latvian night of the year. While in many other countries and cultures this day is known as Midsummer festival (or Summer Solstice Festival), in Latvia it holds the most special name - Līgo. The festival is highly associated with the cult of sun. The day, basically two days (June 23-24) are perceived in a little Baltic country as the most Latvian ones. Meanwhile, there's something we should think about prior the festival kicks off. Yes, you're right - the Līgo costume. 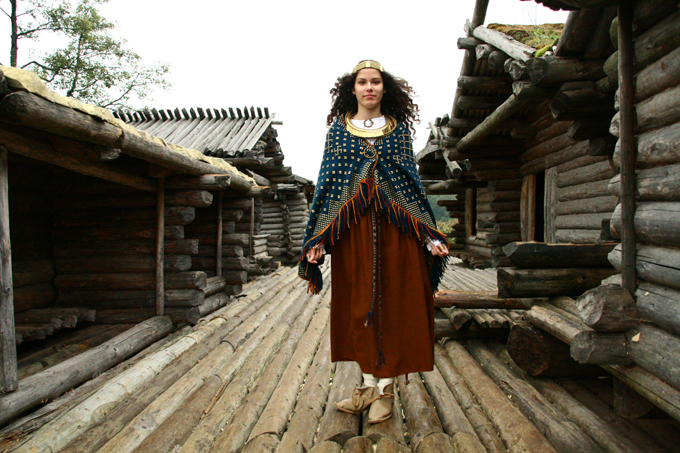 In case you are looking for something more than a crown made of oak and wildflowers, we got several Latvian folk costume inspired ideas that will surely turn you into a real Tautu Meita (People's Daughter). Hurry up, the Līgo night is getting closer and fairy doesn't seem to show up! 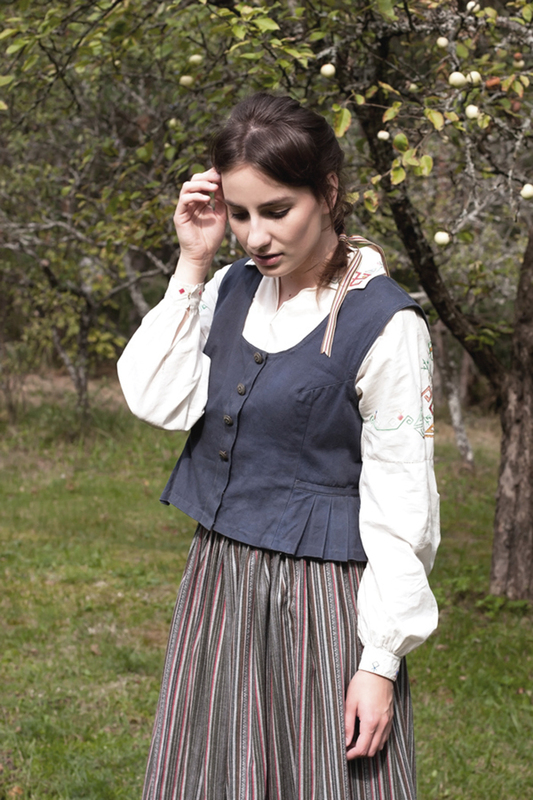 A blouse within Latvian costume is a simple white one, put it country style if you like, that can be upgraded with embroidery in ethnic style. The embroidery can reflect ethnic, pagan motives that have been known for centuries now, like Thunder Cross (lat. Pērkons) and other. A simple white blouse or off shoulder top, or even a linen shirt, will also be a perfect match for your Līgo night outfit. To tell the truth, Latvian folk costume inspired skirt is probably the trickiest piece. Its fabric should be quite thick and heavy enough not in the way that you can't move properly in it, but rather in a way it doesn't fit your body shape and doesn't do the Marilyn Monroe skirt in a wind kind of thing. Regardless the pattern and the color there can be various combinations, but it definitely should reflect simplicity and folk vibes. Wrap thing is one of my favorite parts within Latvian folk costume. A wrap or a vest in ethnic motives or plaid/stripe pattern is a must for Latvian fashionista and anyone visiting this little Baltic country. Pair it with casual jeans or chic-est pair of white wide leg pants. Pair it with an elegant dress or summer sarafan. Play it on 24/7 basis. Linen is among favorite fabrics in Latvia. Natural and absolutely simple. And it's still used by many Latvian designers, and not only. So a linen dress in neutral, calm color is the easiest Līgo outfit idea you can pull both on for festival and throughout the summer season. A button down shirt or sarafan-like option, it's up to you. A lot of accessories. Especially statement ones. I believe there's no need to say that accessories can add a twist to every single outfit, especially when it comes to folk inspired costumes. 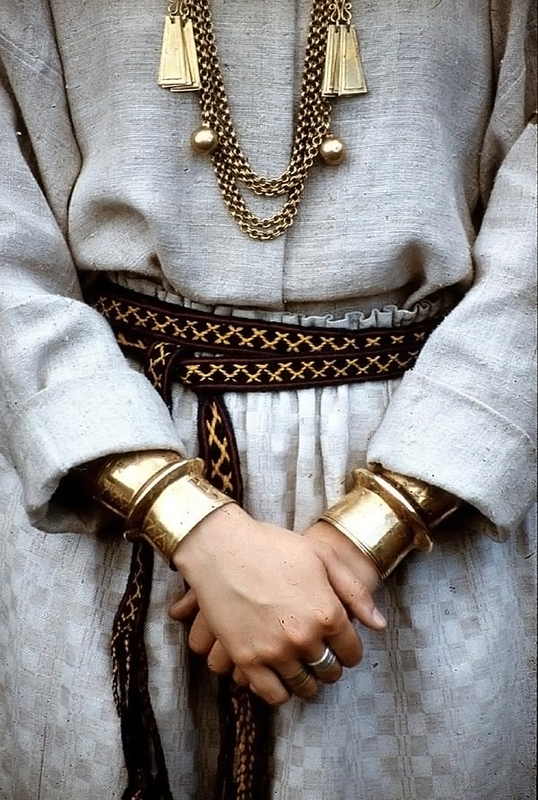 So lots of bracelets, necklaces, rings with some ethnic vibes will turn your Līgo outfit into truly Tautu Meita one.